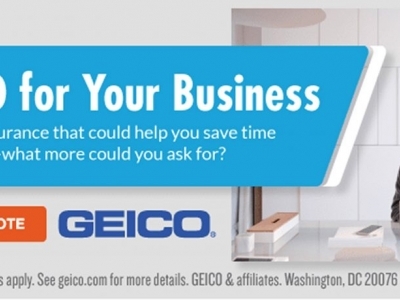 Whether you're a small business just getting started or just looking for better insurance rates, GEICO can help. Get GEICO for your Business and you could get a great rate on - -Commercial Auto Insurance -General Liability -Professional Liability -Business Owner's Policy -Workers' Compensation We also have coverage for rideshare and on-demand delivery drivers. Our licensed agents can help you find the coverage you need at a great price. So get a free rate quote today!